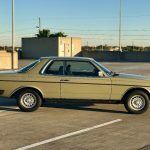 Recently, I’ve been going on and on about how great a car the W116 Mercedes-Benz 300SD is. This came about from my look at the incredible 1980 with 8,200 miles on it for a not-so-inexpensive price of nearly $60,000. Granted, that is the most expensive W116 300SD in the world and it probably isn’t in line with what the car is really worth at all. Thankfully, there are some nice other examples out there – I’m not talking about Craigslist specials that look like they’ve been housing a family of possums for the past 11 years. 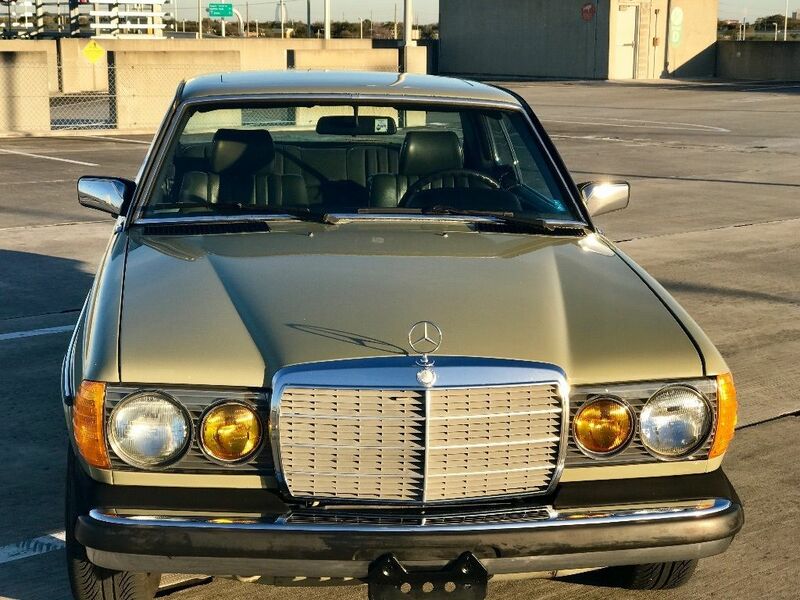 One such W116 is this 1979 up for sale in Phoenix, Arizona. Painted in the rare Milan Brown, this 300SD has a cool background story of being in the same family since new, but most importantly, has been thoroughly loved throughout the years. Sometimes I wonder what it would be like to daily drive a car that isn’t 38 years-old and has such luxuries like airbags, ABS and a modern climate control system. 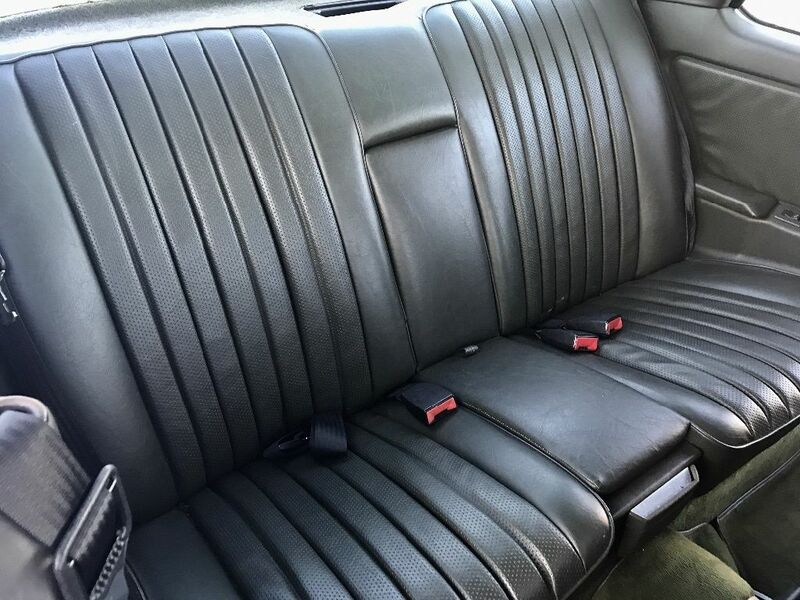 Don’t get me wrong, I love my W116 Mercedes-Benz 300SD, but sometimes I yearn for heated seats and a tire selection greater than three different brands. Once in a while I will see what kind of options are out there for more modern replacements for my W116 and today’s car, a 1998 E300, might just be a perfect combination of modern amenities and the old school diesel feel. 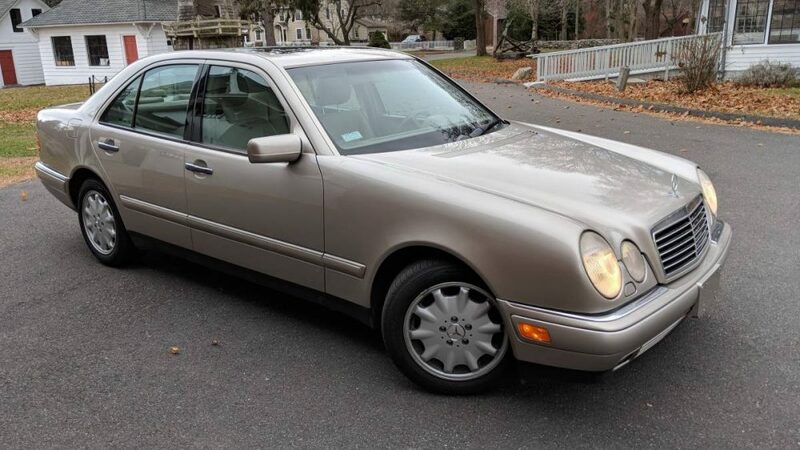 This W210 hails from the Northeast with only 100,000 miles and in what should be a total shocker to almost everyone reading this, has no rust. Is this the answer to all my wildest dreams and fantasies? 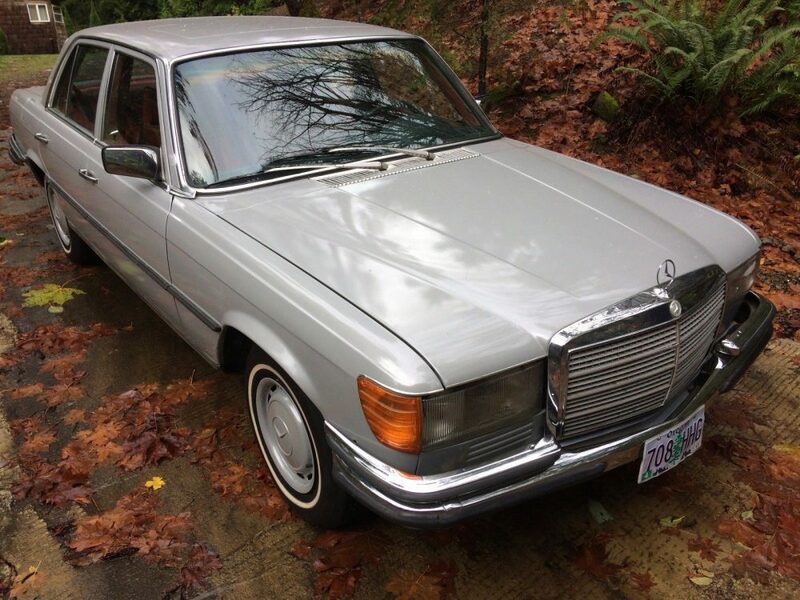 Last week I took a skeptical look at a 1979 Mercedes-Benz 300D with a claimed 24,000 miles. I say claimed because either that mileage is incorrect or someone had lots of hard love with it. Somehow I ended up on a tangent on the W123 vs W116, cars I both currently own, and how I much prefer the W116 chassis. I showed this in the 300D listing, but one of the coolest things that was included when I bought my 1980 300SD was a little snippet from a car magazine from sometime when these cars were new in 1978-1980. It reads, ”In the final analysis, that’s what makes the 300SD such a special car. It is prestigious as anything but a Rolls, but also frugal as an economy car and faster over the road than almost anything. It also feels so secure. All things considering, including the fuel economy, the 300SD is the best sedan in the world. Period.” High praise for sure, but you’d expect that level of car from something that cost over $30,000 (roughly $100,000 now) when new. 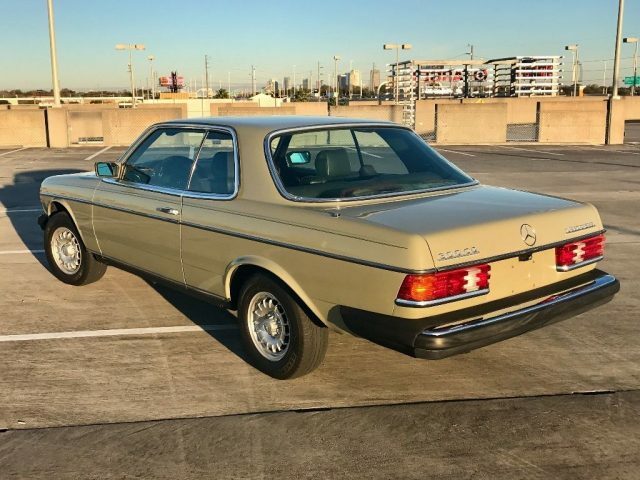 It’s tough to say the W116 300SD didn’t stand the test of time either as nearly 39 years later, I’m still driving mine every day. Not a single thing rattles or shakes in the interior and I get a consistent 27 miles per gallon. Now if I could just find some nice Euro bumpers I’d be all set. All that brings me to today’s car, a 1980 with just 8,197 miles on it. 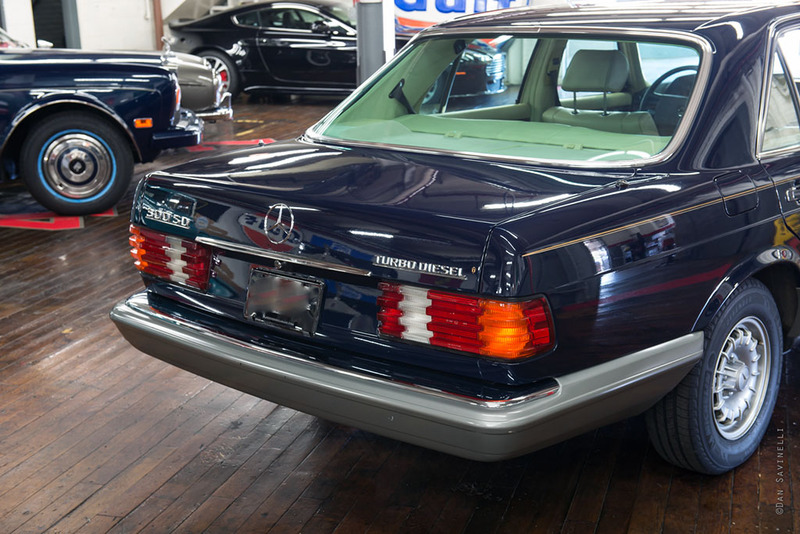 The story with this car is that the Mercedes-Benz Classic Center in California got it’s hands on it after first servicing with 1,300 miles and then giving it a full reconditioning in 2009. I believe the Classic Center actually bought this car a few years and put it up for sale with 7,900 miles for a tidy sum of $50,000. Now, this car has the nearly 8,200 and the price has gone up even more. How much? 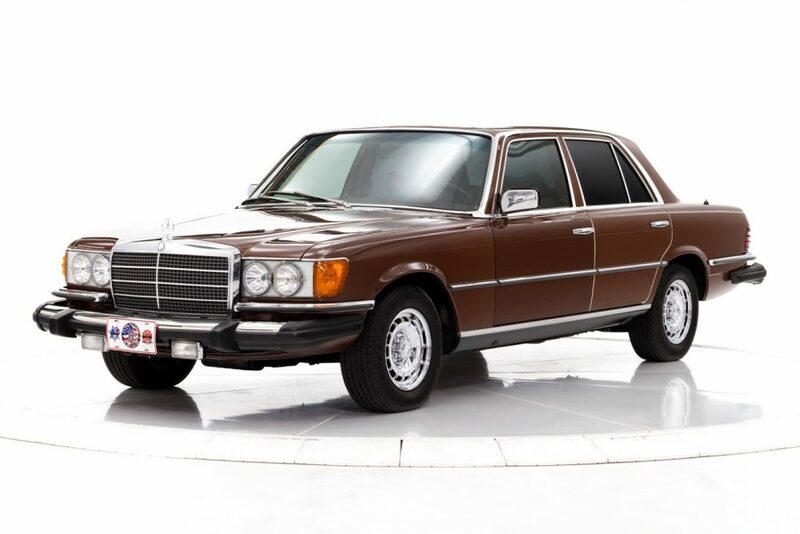 One of the more interesting things about the legendary Mercedes-Benz W123 chassis is the difference between the production numbers for the sedan, estate and coupe bodies. 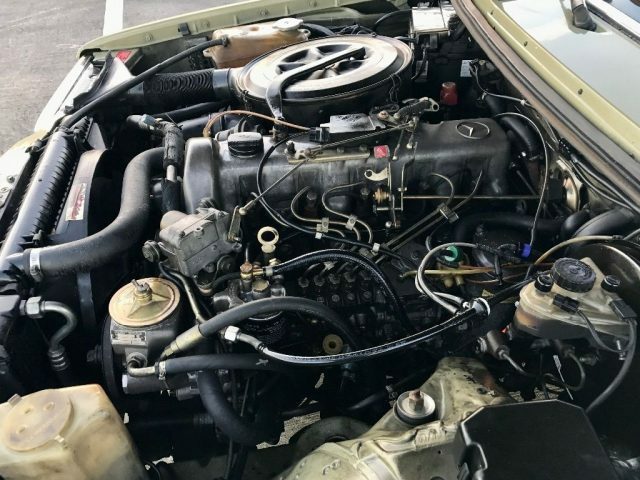 As you might have guessed, the sedan was the most plentiful at just over 75,000 units made from 1981-1985 as the 300D with the OM617 turbo diesel engine. 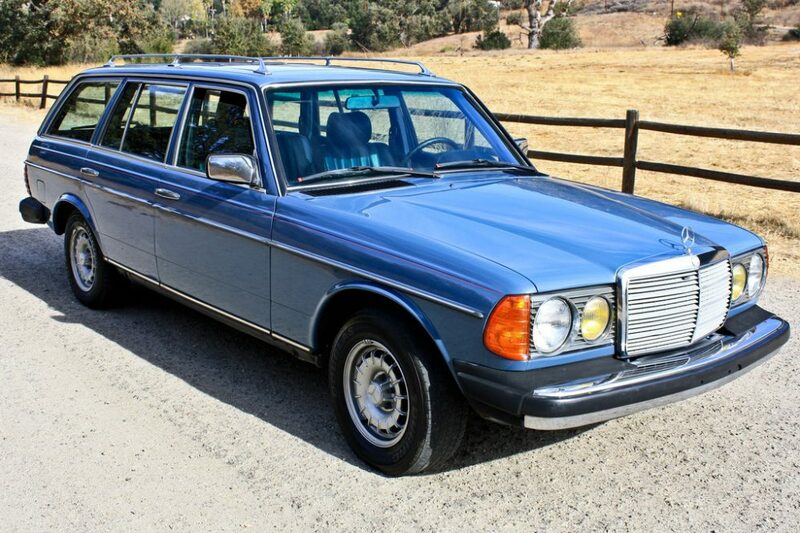 Next up was the 300TD station wagon with a little over 28,000 units. Bringing up the rear is the 300CD with just 7,502 cars. The easy math here says that from every 10 300Ds, there is only one 300CD. That explains why you can go on your local Craigslist and find a handful of 300Ds, but the coupes? No where to be found. 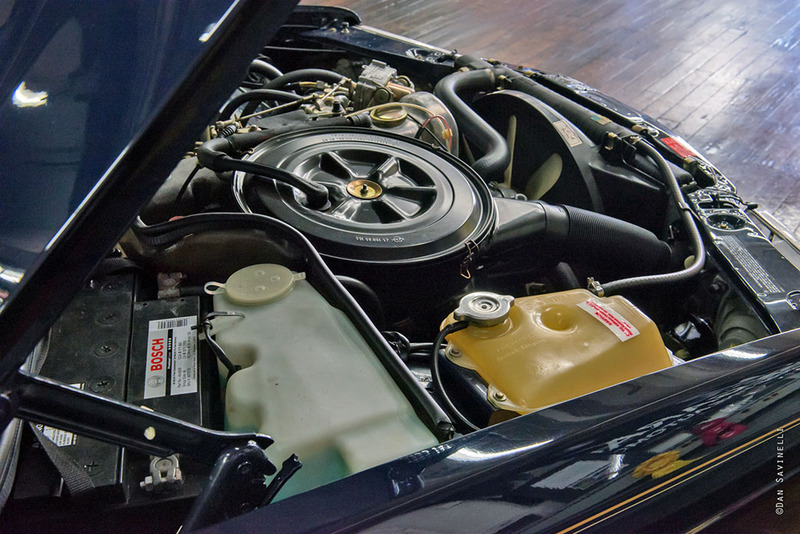 As a result, the demand and values for coupes have always been much higher than the sedan not only because of the rarity, but because they are cool cars and a pillar-less coupe is always classic. Today, I managed to find a really nice 1985 300CD up for sale in Florida and luckily, this one is a wonderful example. I’ve been featuring a lot of really pristine cars of late almost entirely thanks to their low mileage. The reality is these cars are actually pretty few and far between. 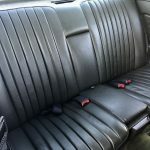 The overwhelming majority of cars, even German ones that hold a special place in our hearts, are used on a daily basis to rack up the miles and in turn, the wear and tear. 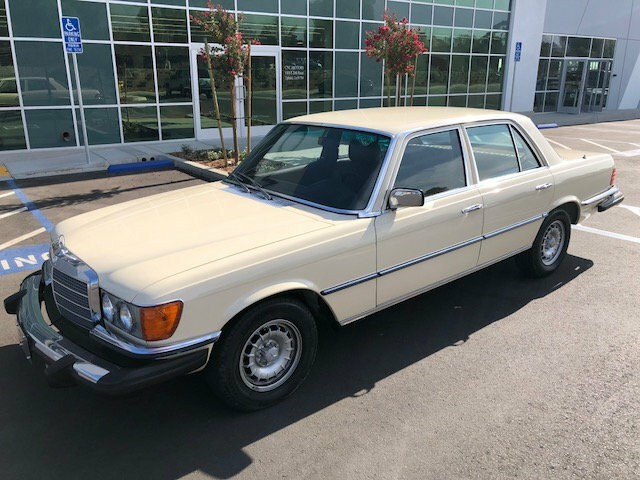 But today’s car, a 1985 Mercedes-Benz 300SD up for bid in California, managed to defy the norm and not only rack up a bunch of miles, but stay almost perfect in the process of doing so. How so? Well, it probably took the perfect storm. It is amazing what a color can do to a car. You could have identical cars, one with a really desirable color and another with a not-so popular color, and have their values be dramatically different. 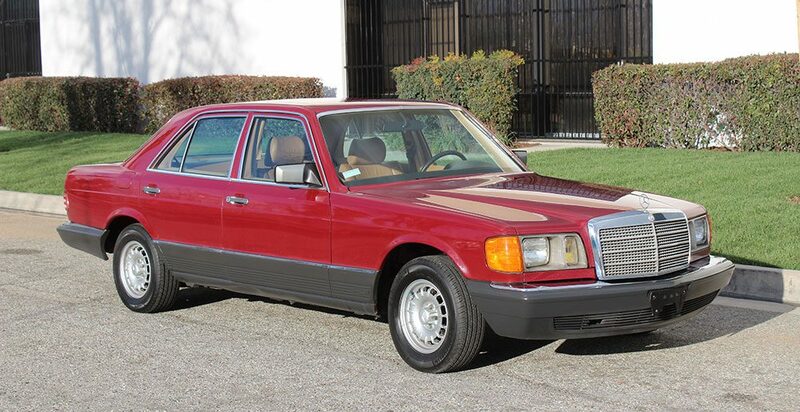 Today’s car, a 1983 Mercedes-Benz 300TD for sale in California, is a perfect example of that. 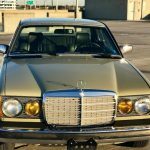 Regardless of color, the W123 300TD is no slouch in terms of desirability and people willing to do anything to keep them on the road. But paint it in a color that everyone loves and suddenly you’ll be a little shocked to see what kind of money these can bring on the open market. This 1983 painted in Labrador Blue isn’t a perfect example by any means but that is the appeal of an example like this. You can enjoy it without obsessing over every single thing that might happen to it. 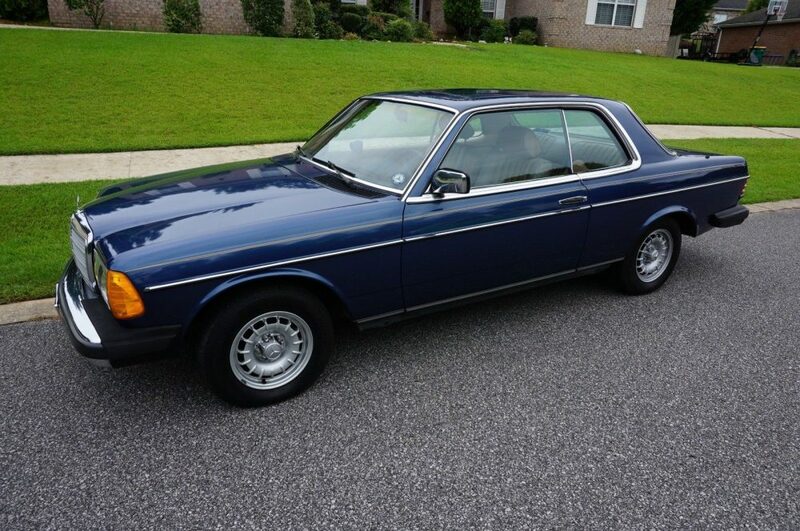 But seeing as this is a 300TD and it is in Labrador Blue, how high could the price be? Continuing on the diesel theme from yesterday, let’s take a look at another no spark Volkswagen. Again we have one that flies below the radar but is worth a lot more than you’d expect. The pre-scandal TDis have a serious niche following. While not quite as set-it-and-forget-it as the 1Z, the derivatives – first the AHU, then the later ATD/AXR and other models similar to today’s example, were nonetheless high-mileage warriors. Rated at 100 horsepower and 177 lb. ft of torque, performance wasn’t outstanding – 0-60 took a few ticks over 11 seconds, it’d take a half minute to hit 100 and top speed was limited to 115 mph. But then you weren’t really buying this car for it’s straight line acceleration. What you were buying it for was notable longevity and, of course, fuel mileage. 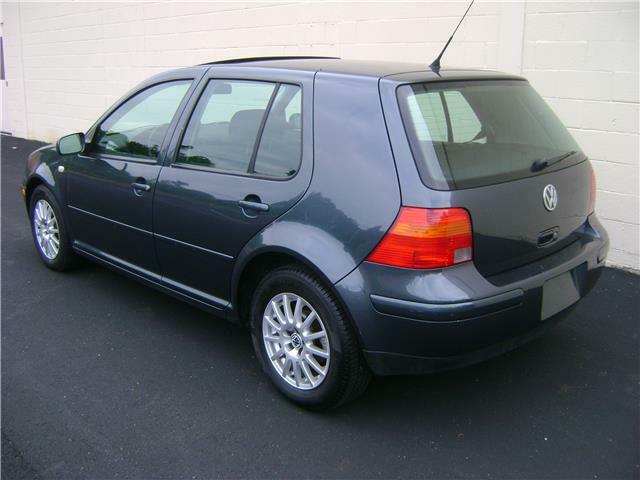 At a time when the standard 2.0 inline-4 struggled to return about 30 mpg at best and the 1.8T was no better, the premium for the TDi gave you 33 mpg city and over 40 on the highway. You could stretch it even farther on a tank if you were careful. Impressive? 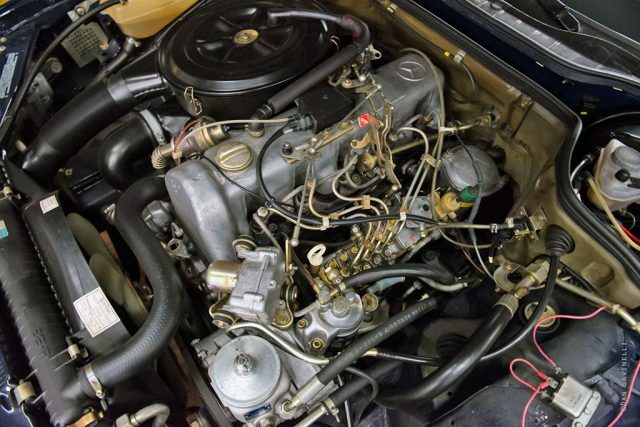 Well, for the time, it was one of the very few diesel motors you could buy in the U.S. and set the stage for the popularity of the Mk.5 models. 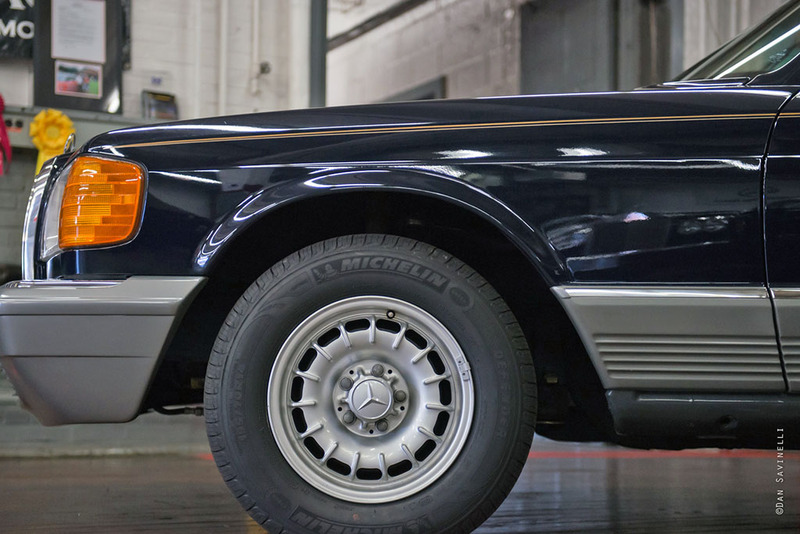 I love a really well-kept Mercedes-Benz W116. Maybe because I own one, but I can’t be alone in feeling this way. These cars feel as solid as anything when everything is sorted and won’t cost you a ton of money to buy and maintain one. 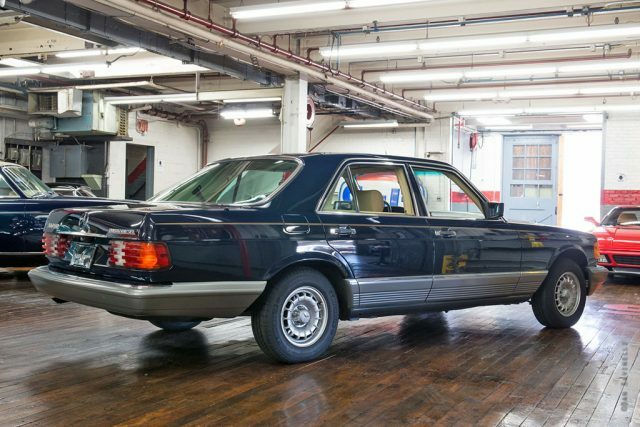 All the gas-powered W116s are fine cars and the first ever production turbo diesel car to go on sale in the United States in 1978, the 300SD, was a gem as well. I have a hard time justifying ever selling my 300SD because for the money, nothing can replace it equally and frankly, there is nothing wrong it. 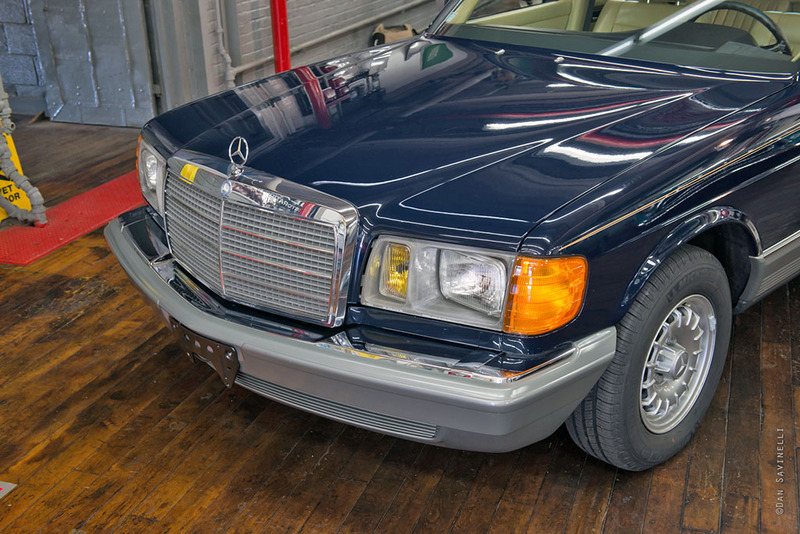 So when I see these W116 300SDs come up for sale now and then I always take a closer look to see how other owners treat theirs. Today’s 1979 model for sale in Oregon has me envious and jealous thanks to a few OEM upgrades. File this one under another great Mercedes-Benz that you usually see with hundreds of thousands of miles on but for whatever reason has almost none. 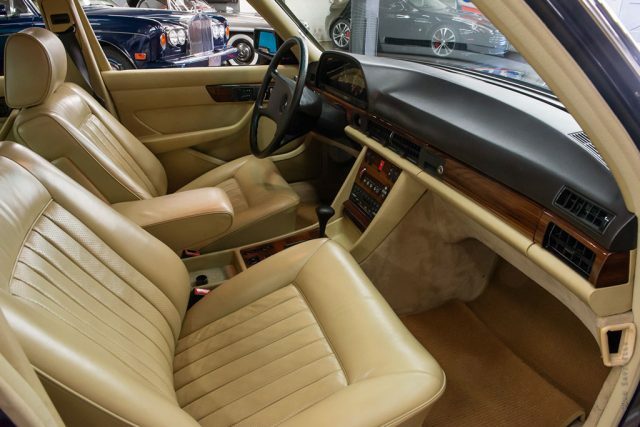 This 1984 300SD shows a crazy 11,300 miles and looks every bit the part. You can totally see why people plunked down almost $40,000 (over $93,000 in 2017 dollars) for these when they are new. It’s frugal, handsome, secure, has enough to power to get out of its own way and all this won’t cost you a fortune to keep going. Except this car, as you might have guessed, will need a small fortune to take home with you. Single owner SD through 2015. Rare 904 Midnight Blue with Creme leather. What is there to say about this car? I overwhelmingly prefer the gen 1 (1981-1985) W126s over the later ones even though they do look a little more dated, but I think that’s the beauty of them. Give me a clean set of 14 inch Bundts with a OM617 and I’m as satisfied as I can possibly be in owning a car. This is a great color combination with the Midnight Blue and tan interior even with those terrible North America spec headlights. Like I said, all this is going to cost you. $35,000 is a ton of money for any W126 but it’s tough to fault the seller for asking it. 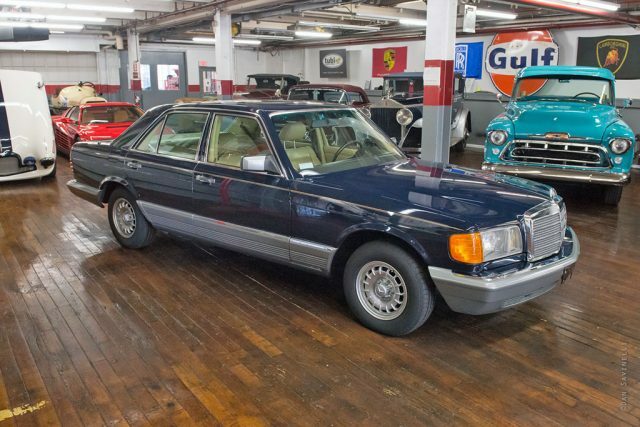 The market for clean golden-era Mercedes diesels isn’t slowing down but I wouldn’t bet on this car gaining anymore value once you start driving it. As I’ve said before, miles don’t scare me one bit so I’m really not the guy that this car appeals to. Cars like these are always fun to see in their original glory, but I’ll gladly take home one of these for less than a third of the price and still enjoy it just as much. I’ve confessed my love for green cars before and today’s featured vehicle is no different. 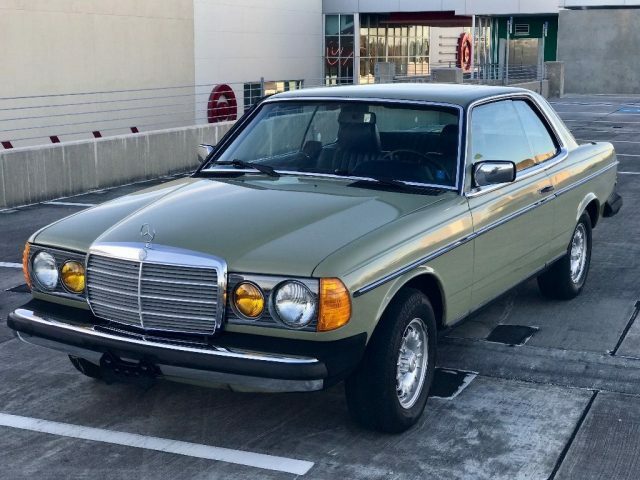 This 1983 Mercedes-Benz 300CD in Moss Green up for sale in Florida combines my favorite color with one of my favorite cars in the W123. It’s not often that I see a Moss Green car come up for sale and even better, the interior is green as well. I have owned these cars for over 10 years. I scour the country daily for them and of all that I have ever owned this is the coolest most unique 300CD. It might have been a one off special order. I have never ever seen the color combination in a turbo diesel. Moss green with green interior. The car is completely original and the paint is exeptional. It shines as new and there are only two dings that I can find. Quarter sized and likely removable. The paint is 100 percent original. No accidents ever. The rims have no curb rash and the tires are matching with plenty of tread. The glass is all original and excellent with the exception of the rear window. The defrost has left a green blob at the bottom. Not visible when driving but from the outside is noticeable but not crazy offensive. I would change it. 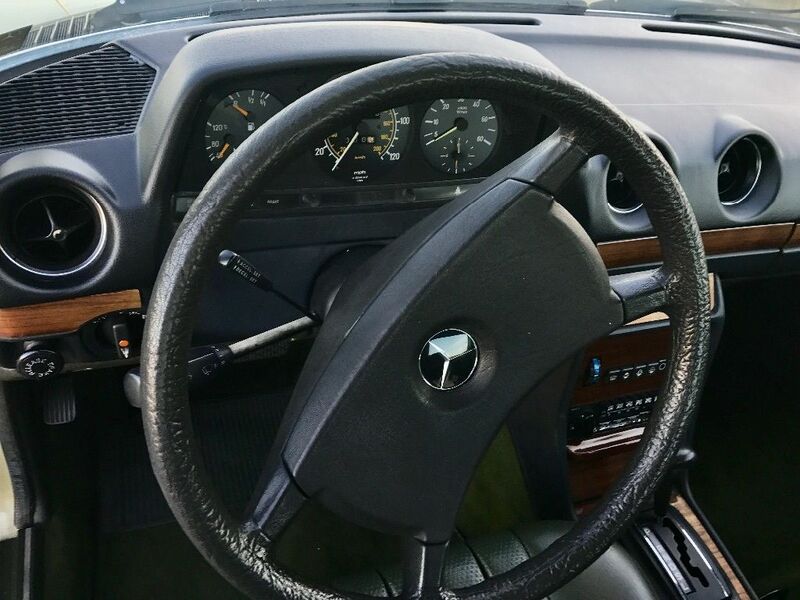 The interior is nearly flawless with the exception of two wood pieces readily available on eBay. There is also a small tear in the armrest easily repairable and the window switches are worn. I will include two switches that are mercedes and in excellent shape. I cant overstate how nice the car is. The last one I sold for 20k was not as nice. The car has stacks of mechanical records and was purchased here in Florida at Lokey Mercedes. It has been fully serviced from day one. I have thousands in service records. There are no shimmys or rattles or shakes. The climate control works as it should. It even blows out of the center vents. Only about 1 in 10 do. The transmission shifts as softly as any I have felt. The last great one I owned had 50k miles on it. I am more disappointed to have to sell this one than that. This car feels as good as any I have ever had. I have a very fair number in mind for the car and it is for sale locally. I can be reached at 813-777-7628. This car will likely sell by Monday so if you are looking for a collector quality 300CD in the very coolest and rarest of colors grab it. No disappointments here. 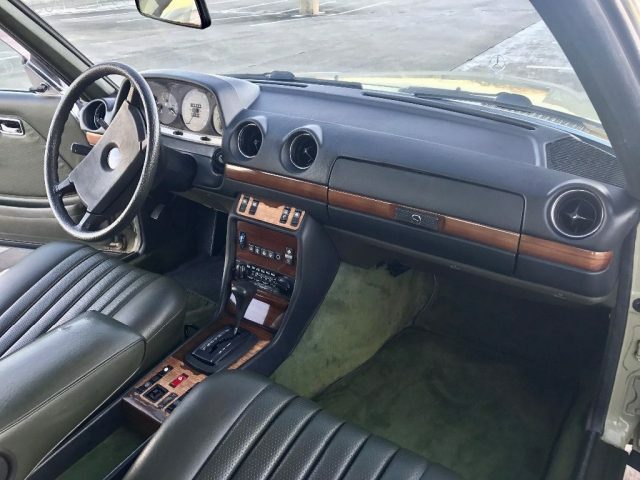 This W123 is probably one of the better ones I’ve seen come up for sale except for one big thing: the shifter wood surround is destroyed. I don’t understand, the rest of this car shows great for 186,000 miles and is probably going to fetch a hefty price tag. Why not spend the few hundred to find a clean piece of replacement wood to finish off the interior to make it really outstanding? That just seems really odd to me. Otherwise, the green MB-tex is very rare and I can probably count on two hands on how many I’ve seen in this color. I’m glad it is in a car this nice and hasn’t been neglected by someone who just wants to drive the wheels off this car. I’m really curious to see where the bidding ends up for this car. 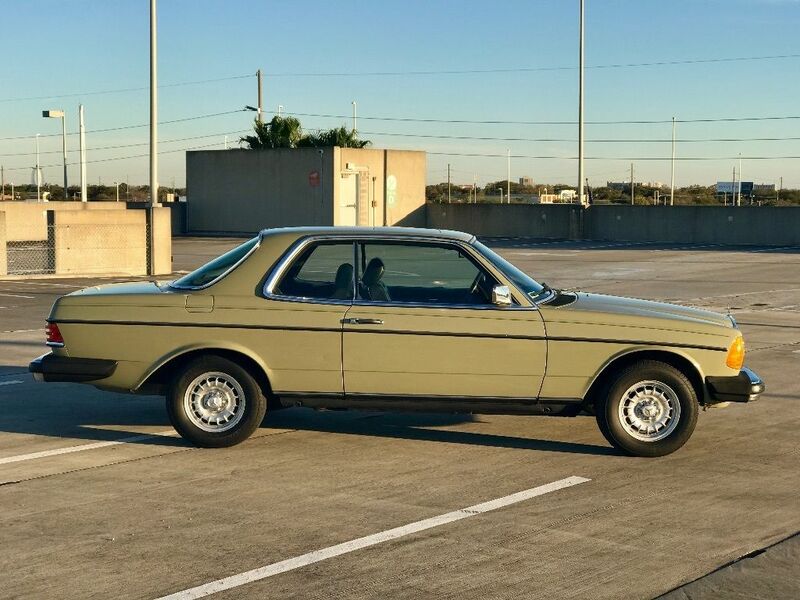 Generally, the W123 coupe has always brought a premium over sedans and this one should follow that trend. It being a Florida car and the condition it is in, even with the bad wood, I wouldn’t be surprised to see it crack $10,000. You don’t see a combination like this one come up for sale often, even at all, so this one has potential to be a nice payday for the seller.